For more information on state final pay requirements, please see our page on Resources: State Government Agencies. 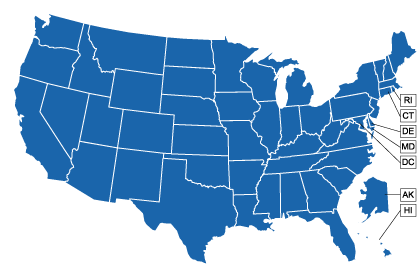 At our site’s listing of state government agencies, you can find the contact information and web links for the agency in your state which oversees state wage and hour laws, including final pay requirements. Unless required to do so under an employment contract, collective bargaining agreement, or other legally binding agreement, an employer is not required to pay employees for accrued sick time or personal leave when they leave their employment. In this respect, accrued sick time is unlike accrued vacation time which, in some states, must be paid as part of an employee’s final paycheck. Some employers do pay employees for unused sick time, possibly as an incentive for employees to not misuse sick leave. However, this practice is generally completely voluntary, unless required by a contract as discussed above. More companies are moving to a “paid time off” (PTO) system where days off are not designated as vacation leave, sick leave, or personal leave, to give employees more flexibility and to ease the administrative burden of tracking and policing workers’ use of their time off. Where this is the case, remaining PTO days are generally treated the same as vacation days under the law. These days are considered to be accrued by the employee and payable when the employee leaves the job. The Fair Labor Standards Act, the federal wage standards law, is enforced by the Wage-Hour Division of the U.S. Department of Labor. Wage-Hour’s enforcement of FLSA is carried out by investigators stationed across the U.S., who conduct investigations and gather data on wages, hours, and other employment conditions or practices, in order to determine whether an employer has complied with the law. Where violations are found, they also may recommend changes in employment practices to bring an employer into compliance. If you need further information about your state’s last paycheck law and/or wish to report a potential state law violation, then you may wish to contact the agency in your state which handles wage and hour/labor standards violations, listed on our site’s state government agencies page. Your state wage payment law may have different methods for recovery of unpaid wages, and different remedies to be awarded to those who succeed in proving a violation. For further information, please contact the agency in your state which handles wage and hour/labor standards violations, listed on our site’s state government agencies page.